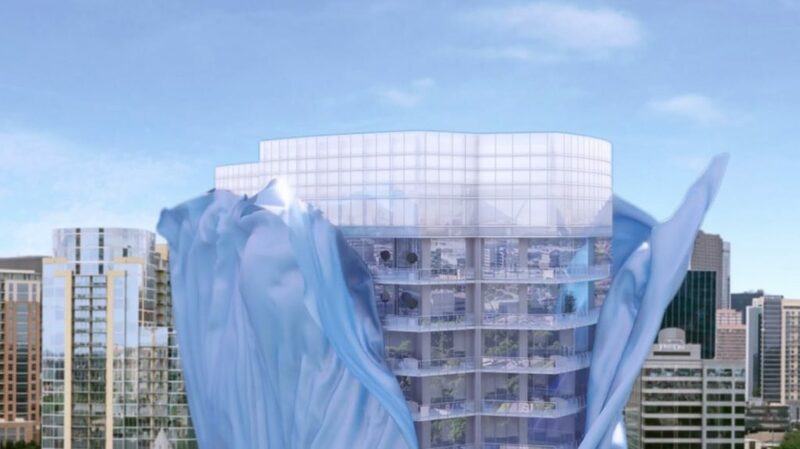 Harwood International pulls back the proverbial curtain on Bleu Ciel with a slick new video for the 33-story Dallas high-rise. The 3.5-minute clip offers a rendered preview of the tower’s striking architecture, resort-style amenities, stunning views and high-end home features that include state-of-the-art kitchens, den/media rooms and expansive outdoor spaces. Feast your eyes on the luxury. Currently in preconstruction in the heart of Dallas’ Harwood District at McKinnon and Wolf Street, Bleu Ciel homes are now on the market. Learn more about the remaining units by visiting the presentation centre at 3008 N. Harwood Street. Hours of operation are 11am to 6pm Monday through Friday and 11am to 5pm on the weekends. For more information call 214 965 1099, email infobc@bleucielliving.com or visit their website here.